Hey, hey . . . Heart Day is almost here! I love to spread the LOVE. I rounded up a variety of super easy, Valentine's Day food gifts for everyone on your list. For your family's Valentine's Day breakfast, Proper offers this crazy simple, all shades of pink Cheerios! 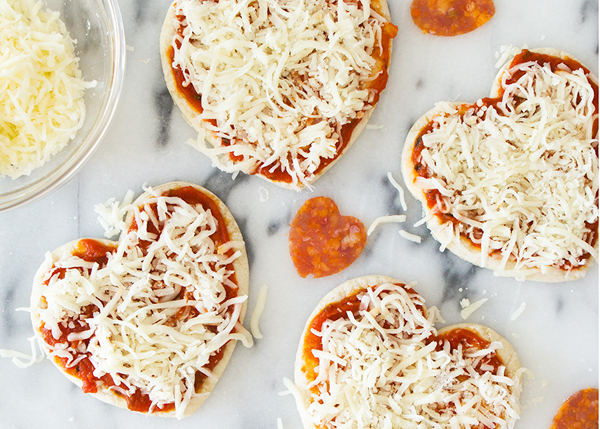 For lunch, Sarah Heart's offers these ADORABLE mini pizzas. This slice and bake cookie tutorial looks like anything but! The First Year Blog even offers a video to ensure your success! 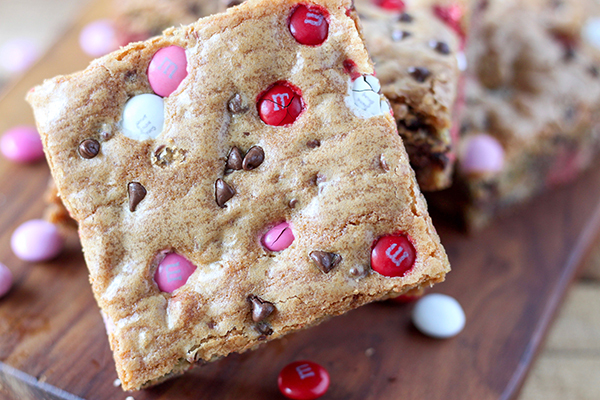 Mellisa at Number-2-Pencil added Valentine's Day colored M&M's to a classic chocolate chip cookie dough to create a perfectly themed cookie bar! Oh Nuts! offers a beautiful white chocolate popcorn mix that oozes all things Valentine's Day! Zerrin from Give Recipe suggests starting with a chocolate wafer cookies that is super fun when dressed up with melted chocolate and sprinkles! 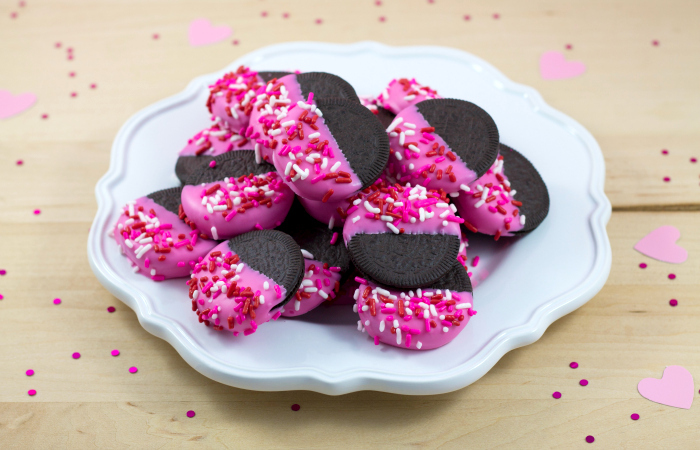 Or consider Jamie's idea from Totally the Bomb to dress up Oreo's! Kimberly from A Night Owl Blog crafts this beautiful Valentine's S'more Snack Mix that is perfect in a large bowl or bagged into individual treats. She even offers printables to personalize your gift! Treats on a stick are easy to wrap as gifts, but also extra fun to eat! Sommer from A Spicy Perspective turns a chocolate covered strawberry into a true work of art! Alison from Pint Sized Treasures used Rice Krispy Treats to promote the Valentine theme. And for him . . . bet he'd love this not so subtle food gift! Our Bests Bites walks you through how to create these too-good-to-be-true bacon flowers. Can you imagine his reaction?